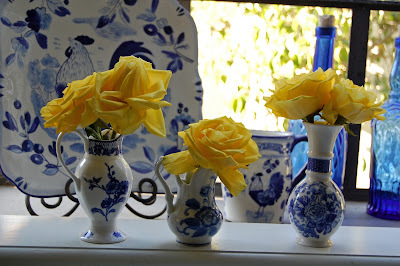 Beautiful blue and yellows..really these are my favorites! Your painting is perfect! This is beyond gorgeous, Erin!!!! I've been playing around with that, and so far I have found I can follow it if I use google chrome instead of exlorer.....so far..
Love the picture, you do beautiful work! Beautiful!!! 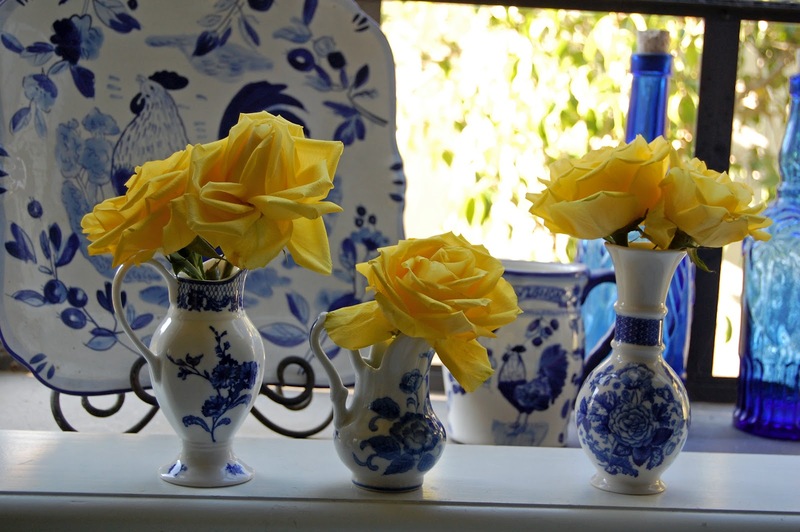 Yellow flowers look perfect with blue and white china. There are so many changes happening with Blogger and Google... Sometimes I just with they would leave it all alone. LOVE the painting of yellow roses and the blue and white china. 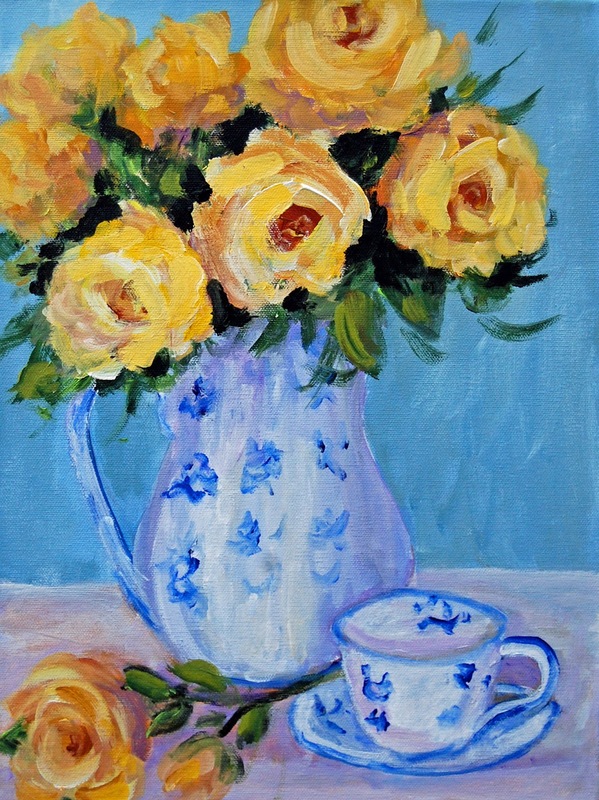 Reminds me of Monet's dining room at Giverney. 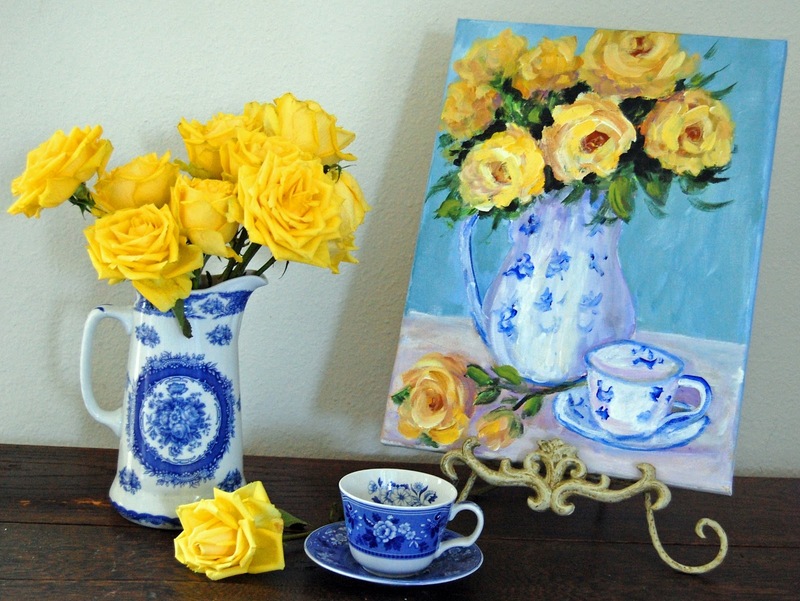 I would love for you to share a tutorial on how you paint your lovely roses. Ciao , mi piace molto il tuo blog,mi piacciono i colori che usi quando dipingi e gli accostamenti che fai con i fiori,sei molto brava!Buon fine settimana. Letizia. 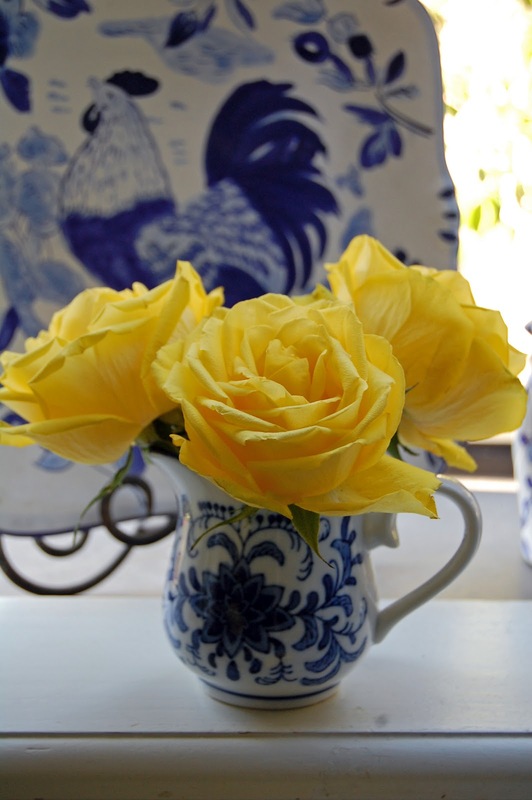 Hi Erin, Just lovely, loving the yellow roses and blue china together.